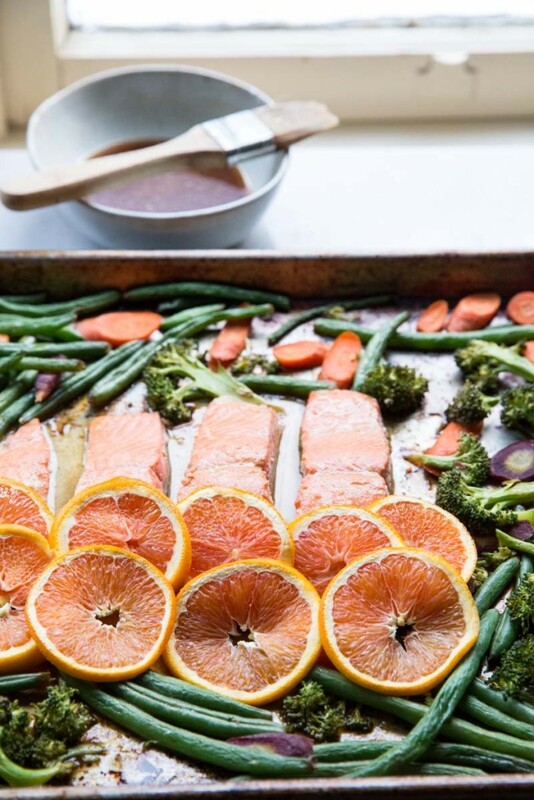 This Orange Sesame Salmon Sheet Pan Recipe is a perfectly easy and nutritious weekday meal. I find my salmon and veggies at Harmons Grocery Stores. This post is sponsored by Harmons but all thoughts are my own. 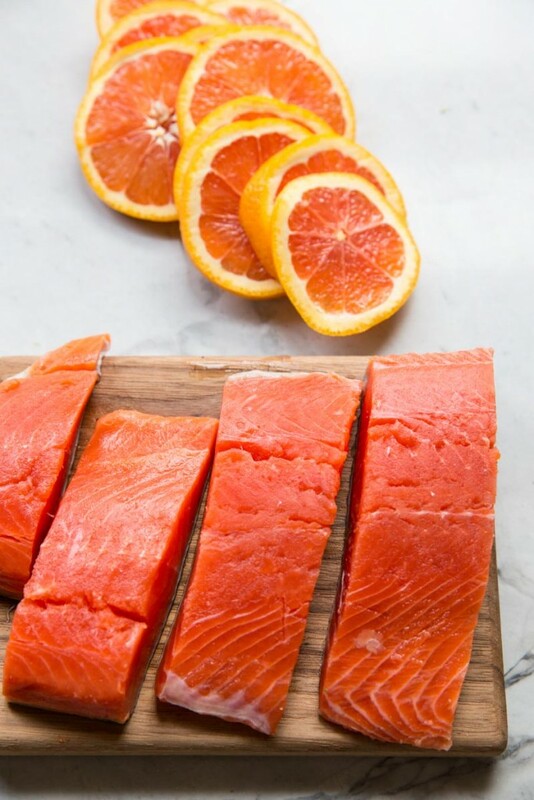 This year I’m trying to incorporate more salmon in my family’s diet and so I’m coming up with lots of easy ways to bring fish into our routine. 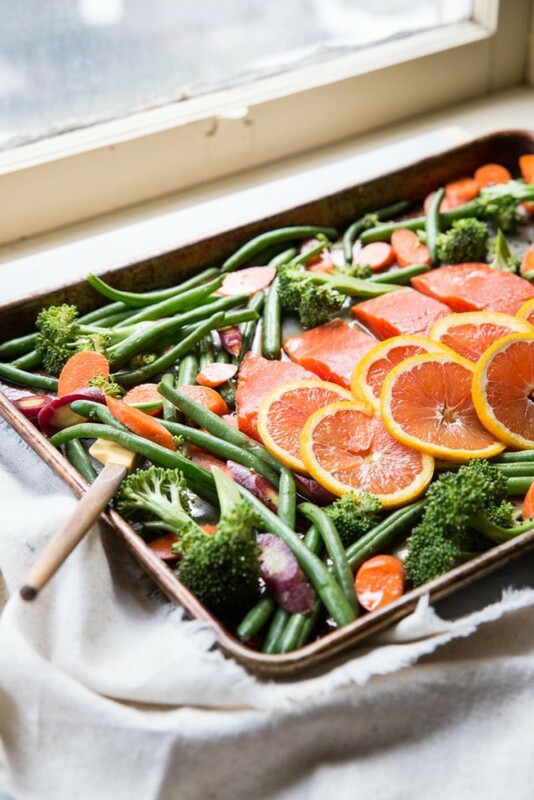 This sheet pan recipe take about 10 minutes to prep and less than 20 to cook, making it the perfect healthy weeknight, 30 minute meal. Everyone in my family loves this simple dinner. Being a mom of two often feels busy but without accomplishing anything outside of the urgent. Sometimes I feel it’s like having to go to the bathroom all day but never having a second to go. I always have something that distracts me from what I’m trying to do then I just forget what I was going to do in the first place. It’s confusing and wildly fun all at the same time. I head to the laundry room to put clothes in the dryer then get distracted by the dishes, then my son calls for help with legos and all of the sudden it’s been hours and I have yet to change the clothes over to the dryer. Anyone else with me on this? And all the while days and months are flying by and my kids are growing up! 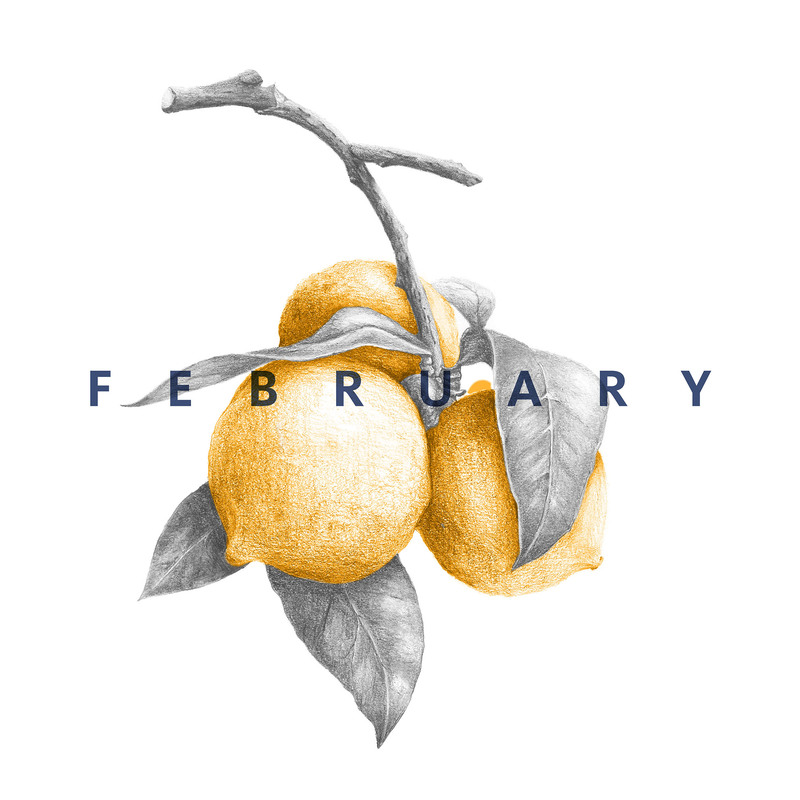 To close the ‘unproductive’ yet incredibly sweet days of motherhood, I’m trying to get a good rotation of healthy meals onto our family’s table. Incorporating salmon, lots of veggies and healthy grains are all goals of mine. 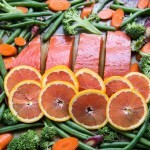 This recipe uses fresh wild caught salmon from Harmons Grocery Store and seasonal vegetables. It’s all made on one sheet pan with a simple sauce and cooked in less than 20 minutes. The Orange Sesame Sauce from this recipe is from my Freezer Cookbook and can be made in bulk in advance and frozen in portion sizes to shave off a few minutes. 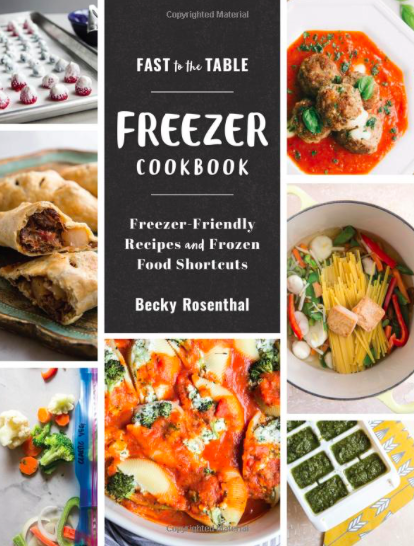 As a mom we all need a few recipes like this one in our back pockets or for making in-between efforts to do the laundry and playing legos. 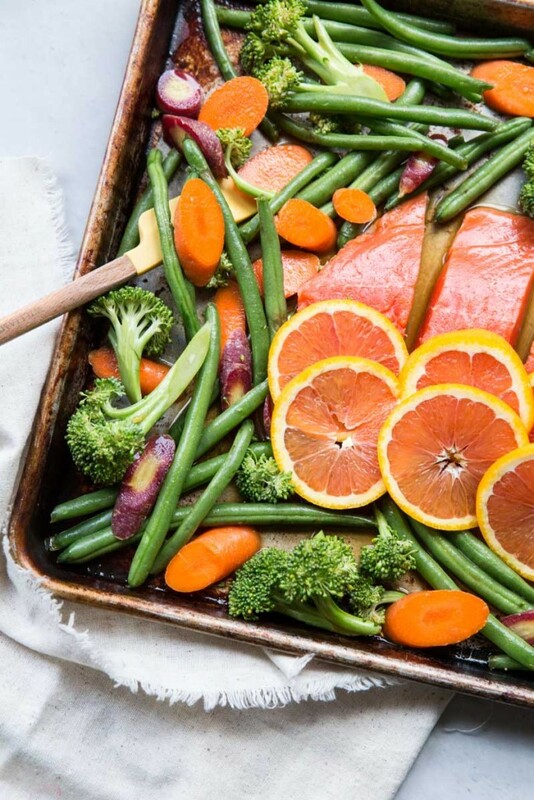 A sheet pan salmon and veggie dinner that's prepped and made in less than 30 minutes. Preheat oven to 400 degrees and lightly spray a 1/2 sheet pan with non-stick cooking spray. Slice up the salmon into 4 equal sized portions and set aside. 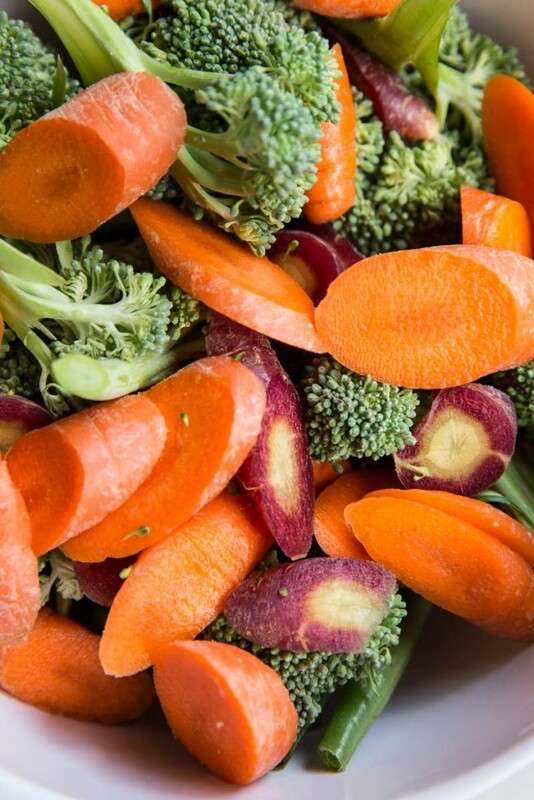 Place sliced veggies in a medium bowl. 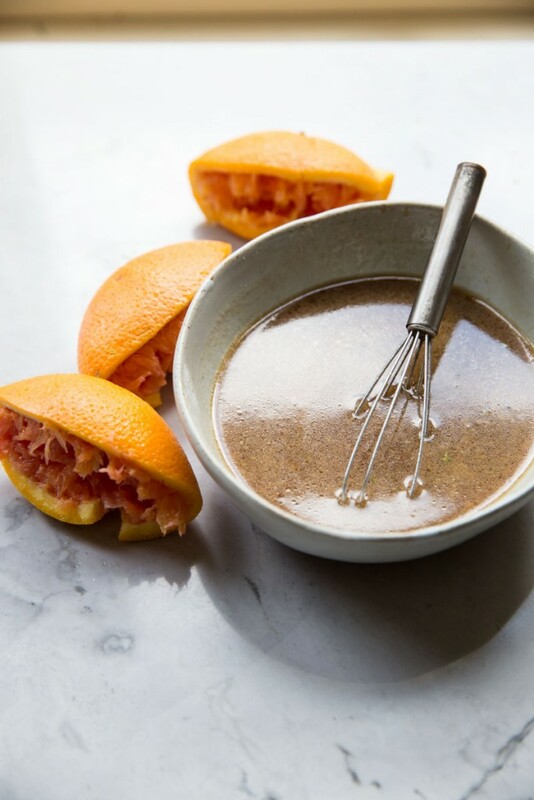 Whisk together the ingredients for the sauce: orange juice, vegetable broth, soy sauce and sesame oil. Toss 1/2 of the sauce with the veggies. Spread out the veggies onto the baking sheet. 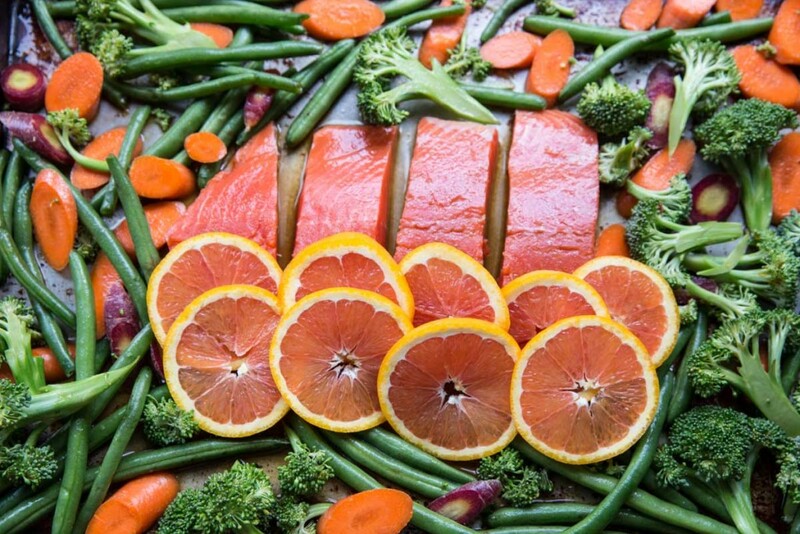 Bake the veggies for 10 minutes then remove the baking sheet from the oven and add the salmon and orange slices in the center. Spoon out a few spoonfuls of the sauce over the salmon and orange slices and reserve the rest for serving. Cook the salmon for 7-8 minutes. 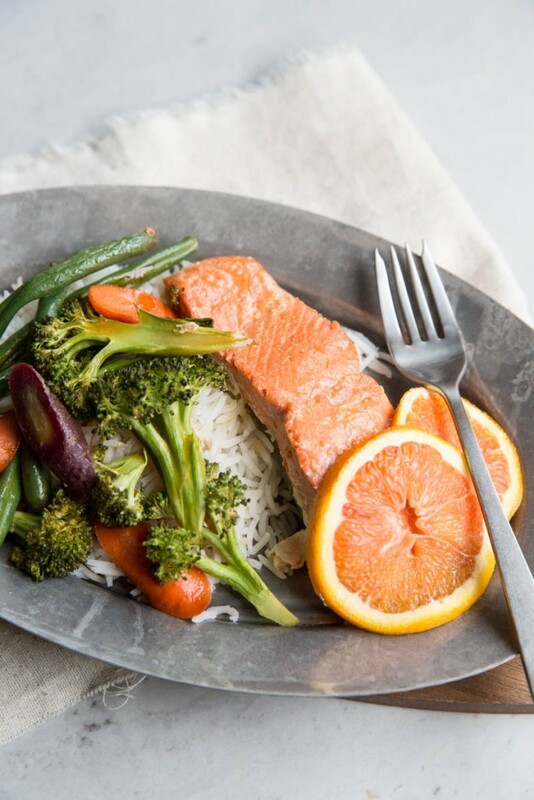 Serve salmon and veggies over rice with the remaining sauce. I SO understand what you’re going through — those days when I feel like I’ve been needing to go to the bathroom for forever still are true! Ha ha. But meals like this make it easier. I love the vibrant colors and flavors in this dish, Becky! I totally remember those days Becky — my boys were 20 months apart and my life was absolute chaos for a while! We eat salmon at least one a week, and this is my kind of meal! I love the flavors and sheet pan meals are the best! Oh man, I can only imagine what it would be like with kids 20 months apart! Phew, glad you made it through that time and thanks for giving me hope! !